One of my favourite mantras for teaching and learning are those based around keeping it real simple. The cumulative effect (sometimes thought of as marginal learning gains (hat tip to Zoë Elder)) of these simple little ideas can lead to a big difference in the classroom. 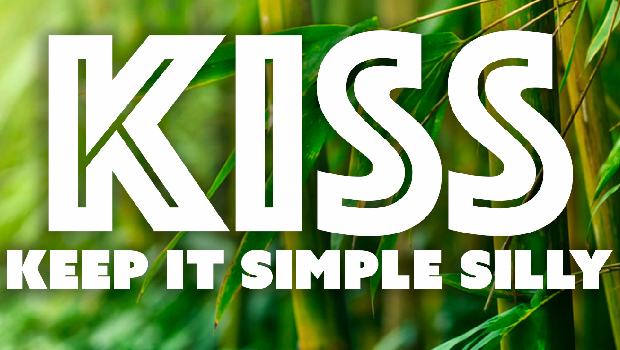 Keep it simple silly (or sometimes known as keep it simple stupid!) is a phrase that often guides me in what I try to do. I find that if you overcomplicate things you can often easily alienate a large proportion of the people you are working with – teachers and children. Yes, providing stretch and challenge for the most able is important, but for you, as teacher, often keeping it simple (silly) means you can more easily build up a toolkit of classroom activities that’ll have a big impact. And so ideas have been coming in which I hope you will find useful. I’ve embedded the Padlet below so you can see the responses and add your own too. After all, sharing is caring and we are so much stronger together! Sorry, but I can’t cope!!! I’m a teacher of language and this type of error … the less said !!!! NO: ONE of my favourite mantras ARE!!!!! One is a singular indefinite article and requires a verb in the singular; ‘are’ is a verb in the plural. So ….. ONE of my favourite mantras IS ….. In the spirit of gentle ribbing, I think you’ll find that excessive use of exclamation marks isn’t really ‘de rigeur’ either. One should be ample!